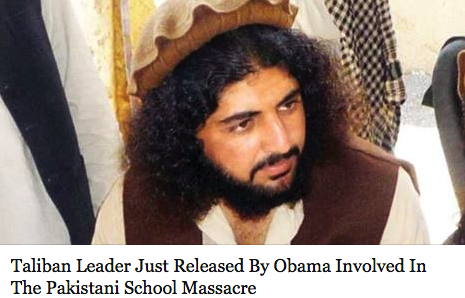 Apparently, according to Reuters, one of the Taliban thugs responsible for killing the 130 children in Pakistan last week was a Guantanamo detainee released by the Obama regime. Thanks for nothing, Mr President. There is blood on your hands you amateur sanctimonious twit.